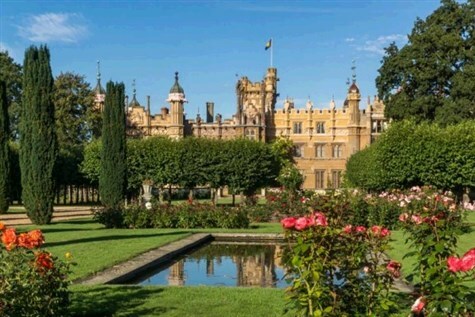 Set in 250 acres of beautiful rolling Hertfordshire countryside, with 28 acres of Formal Gardens, Knebworth House has been home to the Lytton Family for over 19 generations, making an extraordinary walk through 500 years of local and British history. Inside, stories and heirlooms reflect the familys contribution to literature, politics and Foreign Service, alongside visits by characters as diverse as Charles Dickens, Winston Churchill and Queen Elizabeth I. Popular rooms include the Jacobean Banqueting Hall, Victorian Library and Edwardian Dining Parlour. Popular features in the glorious gardens include the ponds, walled vegetable garden, herb garden and colourful borders. There is also a British Raj Exhibition, maze and Dinosaur Trail.